Liberty Walk | Remember – We Are America ! Not usually a topic on this blog, but of interest just the same. I find many out there would like to know how to make your own website … and honest, it isn’t all that hard. In fact, most people look online on now for just about anything. Even electronic readers are putting well established book stores out of business. It’s almost a necessity to have a website it you want to be successful in business, even for those who simply what to propose a bit of change as in libertywalk.org need one as well. Perhaps you’ve always wanted to start a business, but couldn’t afford the brick and mortar fees that put so many under within the first three years of existence. Or maybe you just want to put up family photos someplace other than Facebook, so you don’t have to worry so much about security issues. If any of these (or a whole host of others) are of interest, then head on over to make my own website and have a look. If not … no issues, just browse on and forget I mentioned it! In observance of National Lightning Safety Awareness week, June 24-30, 2012, PolyPhaser Inc. and Transtector Systems, part of Smiths Interconnect’s Power Business Unit, are emphasizing the importance of surge protection for personal safety and protection of assets. Lightning Safety Week, promoted by the National Weather Service, attempts to raise awareness for one of the deadliest weather phenomena peaking during the summer season. According to the National Fire Protection Association, annually an estimated 24,600 fires are started by lightning, causing on average 12 civilian deaths, 47 injuries and $ 407 million in direct property damage. PolyPhaser Inc., global manufacturer of proprietary radio frequency (RF) surge protection solutions and Transtector Systems, specialist in fast-acting, non-degrading silicon avalanche diode technology are globally recognized lightning and surge protection experts. Engineers from both companies are members of and regularly contribute to surge protection standards within IEEE, IEC, ANSI, AREMA and UL. “Lightning is a naturally occurring event that we cannot influence. However, a proper surge protection and grounding system can divert or absorb the damaging energy of a lightning strike, making it an essential part of any effective facility safety design”, reminds Andrew Dawson, VP of Engineering. PolyPhaser Inc. and Transtector Systems lead the industry with a comprehensive product portfolio and specialized expertise in consulting, design and manufacturing of RF, AC, DC, data and signal surge protection, communications power cabinets, EMP protection and power quality engineering services. PolyPhaser | Transtector provide valuable end-to-end power and signal integrity solutions for markets that include telecommunications, medical imaging, transportation, energy, security and the military. Smiths Interconnect http://www.smithsinterconnect.com is a leader in technically differentiated electronic and radio frequency products that connect, protect and control critical systems for the wireless telecommunications, aerospace, defense, space, medical, rail, test and industrial markets. It is part of Smiths Group http://www.smiths.com, a world leader in applying advanced technologies for markets in threat and contraband detection, energy, medical devices, communications and engineered components. Smiths Group employs around 23,000 people in more than 50 countries. With only a month to go to the London 2012 Olympic Games the London Organising Committee of the Olympic and Paralympic Games (LOCOG) has today officially opened the Main Press Centre (MPC) which will host up to 6,000 accredited press and photographic media during Games time. The MPC will provide 31,000 square metres of office space across four floors of workspace for journalists, photographers, accredited non-rights holding broadcasters, as well as IOC and LOCOG staff during the Games. Across the Games it will be open for 52 days with the Catering Village serving an estimated 480,000 meals and 1.6 million cups of tea over 24 hours a day. The MPC will become a ‘home from home’ for the world’s media with state-of-the-art media facilities to ensure media can report on the Games. A 200 metre-long High Street will feature a range of shops and services including a post office and dry cleaners, pharmacy and general store. With the sporting action a mere month away, LOCOG has also announced today that spectators attending the Games will be treated to a programme of comprehensive and innovative sport presentation for the Games, including in-ear commentary, music, presenters for different sports – and a few other surprises. The sports presentation experience for spectators is set to entertain and educate, reflecting the London 2012 vision of connecting more young people with sport. Each venue will have a tailored sports presentation programme offering different experiences best suited to sports – ensuring the spectator experience is as good as possible. A music library of 2012 songs with five music themes – energy, primetime, extreme, heritage and world stage – has been compiled. Each theme will be tailored for specific sports, for example heritage for Tennis at Wimbledon or extreme for BMX. A unique music programme for the Olympic Games, ‘Rock the Games’ is being created which features live performances and exclusive new recorded tracks from various artists. Five official songs have been composed for ‘Rock The Games’, led by chart-topping band Muse whose track ‘Survival’ has been written for the Games and will be played at various sport sessions. The track is available for download from Thursday 28th June. The other four official songs are by Elton John vs Pnau (released July 16th) Delphic (released July 23rd), Chemical Brothers (released July 30th) and Dizzee Rascal (released August 6th). In addition, Scissor Sisters and Rizzle Kicks are just two of the artists that are set to play surprise gigs at some of the Olympic venues. Other London 2012 venues will see exciting performances from leading dancers including the English National Ballet and street crews choreographed by Peridot. Acrobatics, cheerleading from Newham’s Ascension Eagles, sport demonstrations and sport skills’ shows including jump rope from Get Tricky. Music will also be provided by military bands from the Royal Marines, Army and Royal Air Force and DJs providing a lively entertainment programme for spectators. Films, including ‘Sport A-Z’ for Olympic and Paralympic sports, will be shown before each session allowing spectators to get an overview of the sport in a dynamic and engaging way. The films will use actions shots of former and current athletes as well as graphical animations and motion capture avatars demonstrating the sports. All venues will have presenters who will act as anchors in venues, appearing on the big screens. They will host each session and guide the spectators through all the key sporting elements, interacting with the crowd, interviewing attending athletes and celebrities and keeping everyone informed of key timings. There will be a mixture of established presenters including Ben Shephard and Gethin Jones as well as up and coming talent such as Aissetou N’gom. Other young presenters were also recruited through universities, sports clubs, drama and performing arts groups throughout the UK – over 750 budding presenters applied to work at the Games and 13 were selected to be part of the London 2012 presenting team. As well as announcers and commentators, a number of venues will have in-ear commentary radios available for purchase by spectators, giving access to live expert analysis of the competition. The radio will be available for sports where a number of elements are happening simultaneously on the field of play or where there are judged elements which may not be easily understandable for those new to the sport. All commentators will complete a workshop with the RNIB to make sure that the commentary will also be useful for sight impaired visitors. An entertainment programme will also run throughout the day from locations around the Olympic Park. Roaming performers will entertain the crowds while they explore the Park. A bandstand will also offer up-and-coming performers the opportunity to perform in front of thousands of people in the Park during the Games. In addition to the entertainment around the Park there will be chances to take a photo with a mascot, visit sponsor showcases, pin trading and a chance to watch the action on the Park Live Site. 1. Be prepared for security checks when you arrive: this will be like taking an international flight at an airport. It will be busy and you will have to queue, so get there early – check http://www.london2012.com for your recommended arrival time. 2. Bring as little as possible with you: the more you bring, the longer it will take to go through security. One small soft-sided rucksack or handbag is allowed per person – this must fit under your seat. If you have a ticket for Football, we strongly suggest you do not bring a bag – if you do, your entry will be delayed and you may miss your event. 3. Read the lists of prohibited and restricted items before you leave: You cannot bring in liquids over 100ml*, including water – but you can bring an empty plastic water bottle and fill it up at water points inside venues. There is a wide range of food available to buy, but if you need to bring your own food, it must fit inside your bag. 4. Leave plenty of time to travel to your venue: London and the UK will be extremely busy and very different to what you’re used to. Use the spectator journey planner to find the best route and, where necessary, book your travel to make sure you get to your event on time. Ticket holders for events in and around London can use their Games Travelcard for travel in London zones 1-9. 5. Please remember the only way to pay is by Visa (debit, credit or prepaid card) or cash. Muse have five studio albums, a plethora of awards (including five MTV Europe Music awards, five Q awards, eight NME Awards, two Brit Awards, four Kerrang! Awards, a Grammy and a Mercury Prize nomination) and an extensive list of top 10 singles which has resulted in Muse being one of the biggest bands in the UK/Europe. Matt Bellamy, Dominic Howard and Chris Wolstenholme celebrated the release of their 5th album ‘The Resistance’ with two open air homecoming shows in Teignmouth, Devon, back in 2009. No.1 in the UK, the album also topped that charts in 19 countries worldwide. A European tour followed with a lavish new production which saw them play in front of 300,000 fans in just two months. A short trip home during the tour saw them bestowed as the 2011 recipients of the Silver Clef Award from music therapy charity Nordoff Robbins before heading out for a string of sold out stadium shows in UK, France, Italy, Holland, Spain and Switzerland. Muse will release their 6th studio album ‘The 2ND Law’ this September. A European arena tour will follow the release from October onwards. LOCOG has seven domestic Tier One Partners – adidas, BMW, BP, British Airways, BT, EDF and Lloyds TSB. There are seven domestic Tier Two Supporters – Adecco, ArcelorMittal, Cadbury, Cisco, Deloitte, Thomas Cook and UPS. There are now twenty-eight domestic Tier Three Suppliers and Providers – Aggreko, Airwave, Atkins, Boston Consulting Group, CBS Outdoor, Crystal CG, Eurostar, Freshfields Bruckhaus Deringer LLP, G4S, GSK, Gymnova, Heathrow Airport, Heineken UK, Holiday Inn, John Lewis, McCann Worldgroup, Mondo, NATURE VALLEY, Next, Nielsen, Populous, Rapiscan Systems, Rio Tinto, Technogym, Thames Water, Ticketmaster, Trebor and Westfield. There is one domestic Tier One Paralympic Games-only Partner, Sainsbury’s and two domestic Tier Three Paralympic Games-only Suppliers, Otto Bock and Panasonic. The London 2012 Paralympic Games also acknowledges the support of the National Selection method. Servicemembers Legal Defense Network (SLDN) today announced UBS, Verizon, and BNY Mellon as the inaugural sponsors of a tribute to former Chairman of the Joint Chiefs of Staff, Admiral Mike Mullen, who will headline the celebration aboard the Intrepid Sea, Air & Space Museum in New York City to mark the one-year anniversary of the repeal of the discriminatory “Don’t Ask, Don’t Tell” law. The event – “Celebrating Our Heroes” – will take place on Tuesday, September 18, 2012, and will be the first in a series of high profile events hosted by SLDN across the country during the week to commemorate the first year of open service by America’s gay and lesbian service members. The anniversary of repeal is September 20. “This historic and emotional event presents a unique – indeed, a once in a lifetime – opportunity to reinforce the meaningful part that Admiral Mullen played in the ‘Don’t Ask, Don’t Tell’ repeal process. No one played a more pivotal role than Admiral Mullen in securing the support of Congress and the military for repeal,” said Army Veteran and SLDN Executive Director Aubrey Sarvis. “We thank our inaugural sponsors – UBS, Verizon, and BNY Mellon – for their strong commitment to equality in our nation’s military and for their generous support for all service members and veterans. 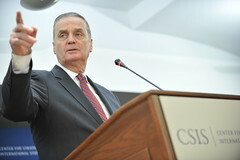 Admiral Mullen represents the very best American values – integrity, commitment, and service. We are proud to see these employers aligned with him today and demonstrating a deep commitment to full LGBT equality in this country,” said Sarvis. The New York City tribute on September 18 will begin with a VIP reception at 5:30 p.m. The general admission event will begin at 6:30 p.m. and will conclude at 9:30 p.m. For more information, to sponsor the event, or to purchase tickets, visit http://www.sldn.org/intrepid2012. ABOUT SLDN: Servicemembers Legal Defense Network (SLDN) is a non-partisan, non-profit, legal services and policy organization dedicated to bringing about full LGBT equality to America’s military and ending all forms of discrimination and harassment of military personnel on the basis of sexual orientation and gender identity. SLDN provides free and direct legal assistance to service members and veterans affected by the repealed “Don’t Ask, Don’t Tell” law and the prior regulatory ban on open service, as well as those currently serving who may experience harassment or discrimination. Since 1993, our in-house legal team has responded to more than 11,500 requests for assistance. To learn more, visit http://www.sldn.org. Lesbian, gay, bisexual and transgender service members with questions are urged to contact the SLDN hotline to speak with a staff attorney: Call 1-800-538-7418 or 202-328-3244 x100. ABOUT UBS: UBS draws on its 150-year heritage to serve private, institutional and corporate clients worldwide, as well as retail clients in Switzerland. We combine our wealth management, investment banking and asset management businesses with our Swiss operations to deliver superior financial solutions. UBS is present in all major financial centers worldwide. It has offices in over 50 countries, with about 37% of its employees working in the Americas, 37% in Switzerland, 16% in the rest of Europe and 10% in Asia Pacific. UBS employs about 65,000 people around the world. Its shares are listed on the SIX Swiss Exchange and the New York Stock Exchange (NYSE). 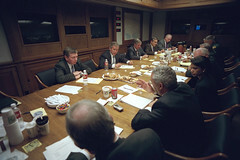 For more information, visit http://www.UBS.com and follow on Twitter at http://www.ubs.com/twitteramericas. ABOUT BNY MELLON: BNY Mellon is a leading global provider of financial services for institutions, corporations and high-net-worth individuals, offering superior investment management and investment services. In addition, the company responds to the needs of communities by supporting organizations that advance diversity and inclusion and improve the quality of life where its employees work, live and do business through its Corporate Social Responsibility (CSR) programs. CSR at BNY Mellon reflects the company’s global business priorities, which emphasize ethics, transparency, operational reliability, stakeholder engagement and talent management. To learn more, visit http://www.bnymellon.com/csr or http://www.bnymellon.com/diversity. Question by : Should we worry that General James Jones National security advisor is stepping down? This is the 3rd General either fired or let go by President Obama, Are we safe with Obama at the helm? Who will be next? Is Obama worried about our military leaders leaving? Should we be worried or should we just have “faith” that Obama will take care of the National security issues and protect our Country better then our Military can? The liberals and Obama must think so……. Yes we should. Worried and afraid. 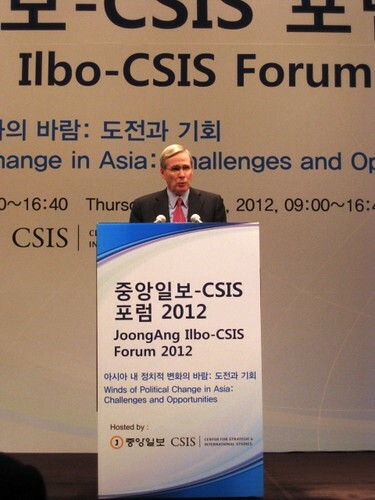 Stephen Hadley, former National Security Advisor to President George W. Bush, delivers keynote speech. The President’s authority to suppress information that he deems to be of national security importance is calle? Question by m21: The President’s authority to suppress information that he deems to be of national security importance is calle? The President’s authority to suppress information that he deems to be of national security importance is called? If there is a word,calle, it is new to me. I would call the President’s decision on such important matters to be prudent and in the National interest.